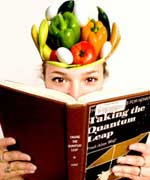 Fruit is the ultimate energy for your brain. One of the substances that fruit contains is natural sugar. They stimulate the brain so we can think faster and recall information more quickly. It works like a brain fuel. For students during the exam, it will help to have only fruit but as much as you want before you do your test and avoid the brain blocking foods white flour, refined white sugar, meat and dairy. Fruit is better to consume raw and fresh, either with skin or peeled off. The best time to consume these is on empty stomach or around 20 minutes before meals. For those who don’t get use with fresh raw fruit, fruit juice is an alternative. Squeezed fruit is as healthy as eating a piece of raw fruit out of your hand. Unlike many people think there is not a whole lot of fruit flesh lost when you squeeze fruit. This means that your glass of orange juice does contain all the fibers you need! These fibers prevent from many diseases. Fibers stimulate the digestive system so if you have a substantial amount of fruit intake it is not necessary to eat bran or other intestine stimulating foods. Freshly squeezed juices are much better than any juice in packages. Juice from cartons, cans, and glass or plastic bottles has been pasteurized, meaning the juice has been heated or cooked to kill all the germs. The heating of food changes the enzymes of the food so it looses (some of) its nutritious value. In other words, you can’t substitute freshly squeezed juice by juice from packages, which potentially contains an acid structure.